There are seven different species of sea turtles found in the world. Except for the periods when females lay eggs in the sands of beaches, all of their lives pass in the water. Two of these species live and reproduce in the Mediterranean Sea: Tray Turtle (Caretta caretta) and Green Turtle (Chelonia mydas). 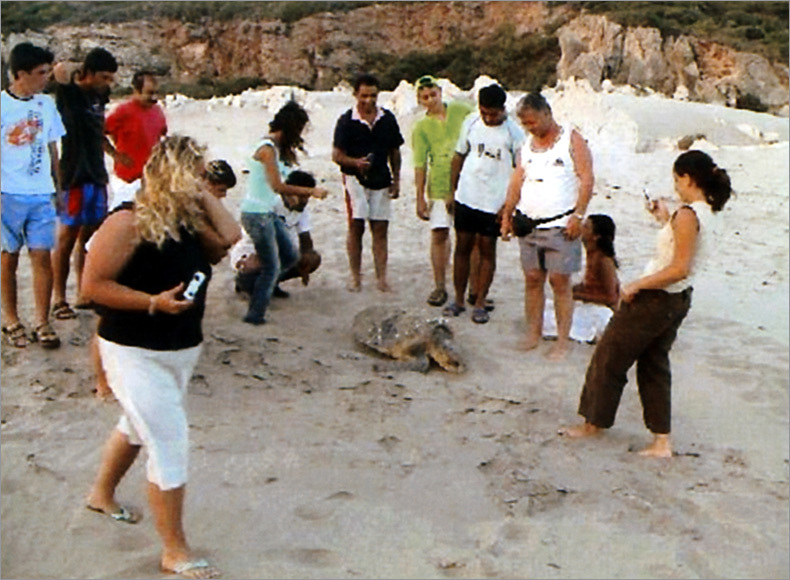 Even thought there are 17 beaches suitable for the reproduction of the sea turtles, only 6 of them are under protection. 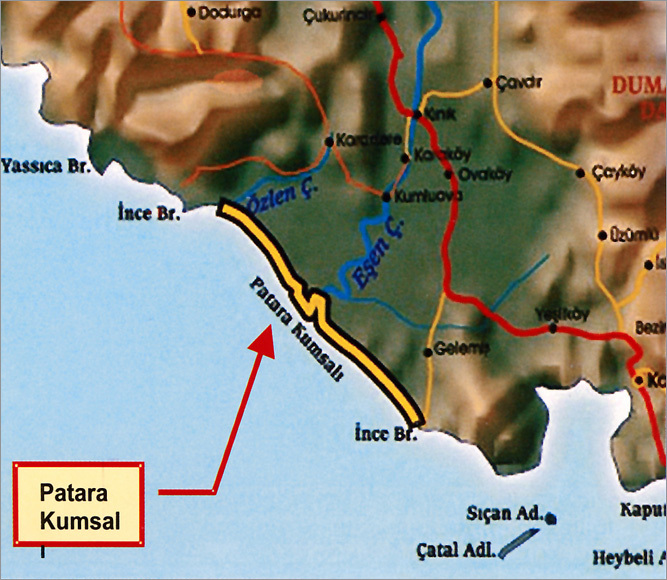 These beaches are Ekincik Beach, Dalyan Beach, Patara Beach, Belek Beach and Goksu delta beaches. These species are called “green turtles” because the grass they eat makes their oil of green color. Green turtles are the only turtles that feed on grass. Even in our days, green turtles are being hunted and killed and their numbers are steadily decreasing. 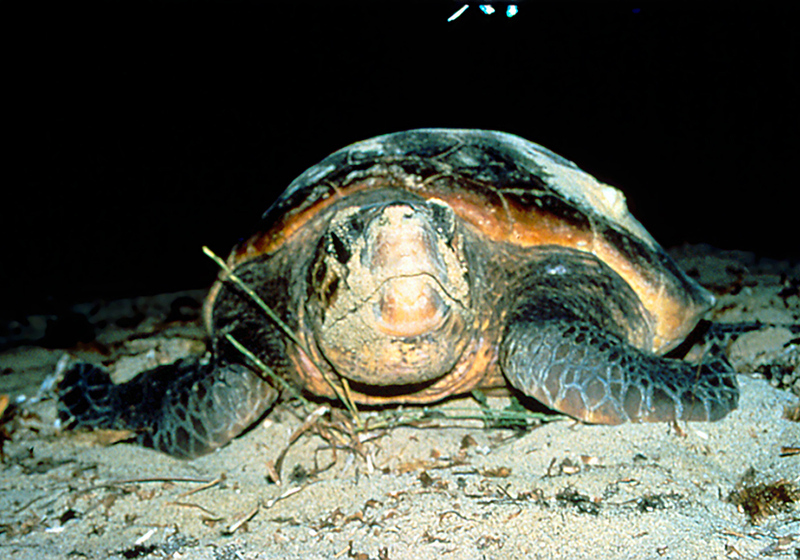 The weight of the tray turtles change between 135-180 kilograms. They feed on crabs and other sea animals. It can be easily identified by its big head and wide and short neck. Just like other sea turtles, these turtles cannot pull their heads inside their shells unlike the land turtles. The shell is like armor, but its head and fins do not have a protection. Some sharks and killer whales can attack to these parts of their bodies. But, since tray turtles are big and fast, they have very few natural enemies. 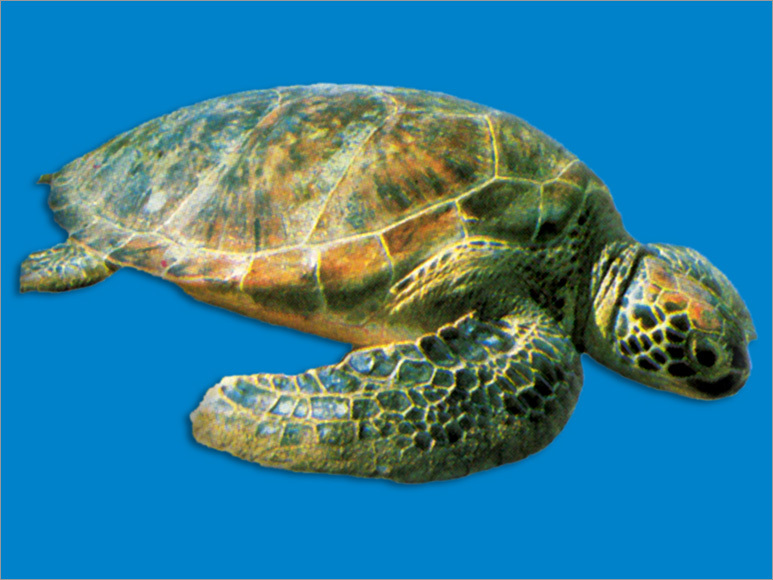 Female green turtles can lay eggs 3-4 times in a single egg-laying season. It is very fast in the water, but very slow and vulnerable on the land. 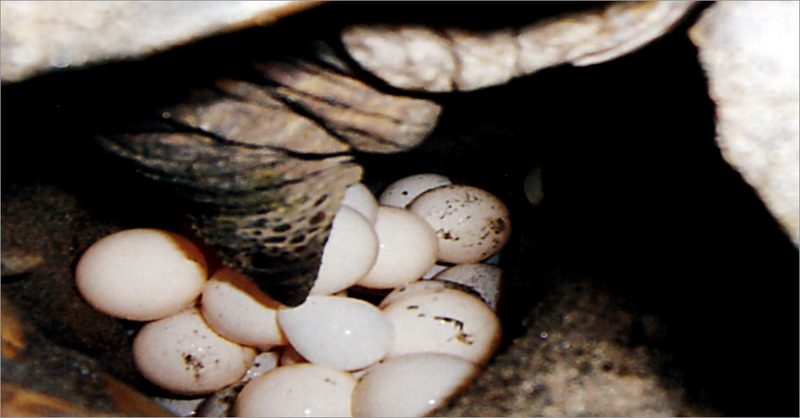 It lays about 100 eggs during in each egg-laying. 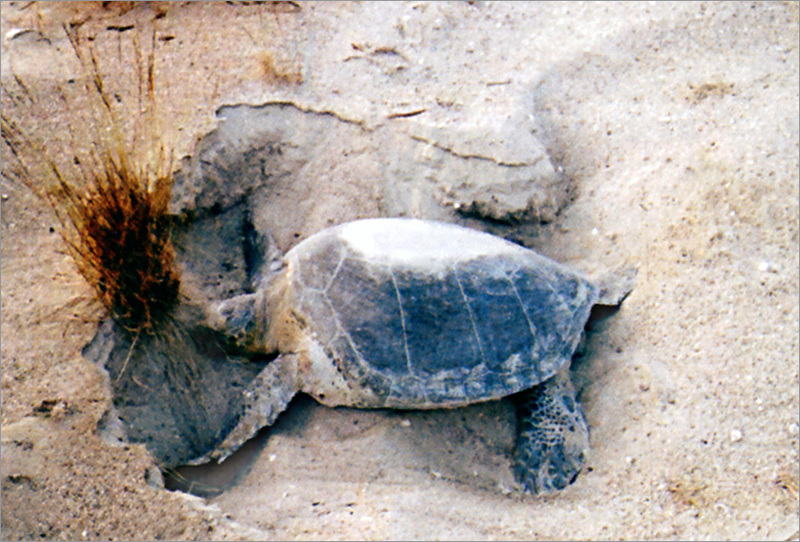 After female turtles lay the eggs, they cover them with sand and return to the sea. The sun that hits the sands of the beaches warms the eggs and after 2 months of development, the small turtles hatch off the eggs. The newly hatched baby turtles are 5 cm long and crawl towards the sea. Baby turtles feel the direction of the sea from the light sparkles that come from the surface of the water. This glister attracts them towards itself. Defenseless babies walk clumsily on the beach. For them to reach the water, it has to be very dark around. If there is a house, a car or a street light that has light coming from, baby turtles walk towards them and cannot reach the sea. The real reason why baby turtles come out in the middle of the night is that they have to be protected from the sunlight. The scorching sunlight in the middle of the day would dry them out and kill. The shells of the newly hatched baby turtles are very soft and they do not protect the baby turtles. Baby turtles become food for crabs and birds. Very few of the babies reach the sea and most of them become food for fish in the sea. It can be said that, from each nest, only 1-2 babies survive. One of the properties of sea turtles is that they return back to the sands they were born, when it is time for them to lay eggs. 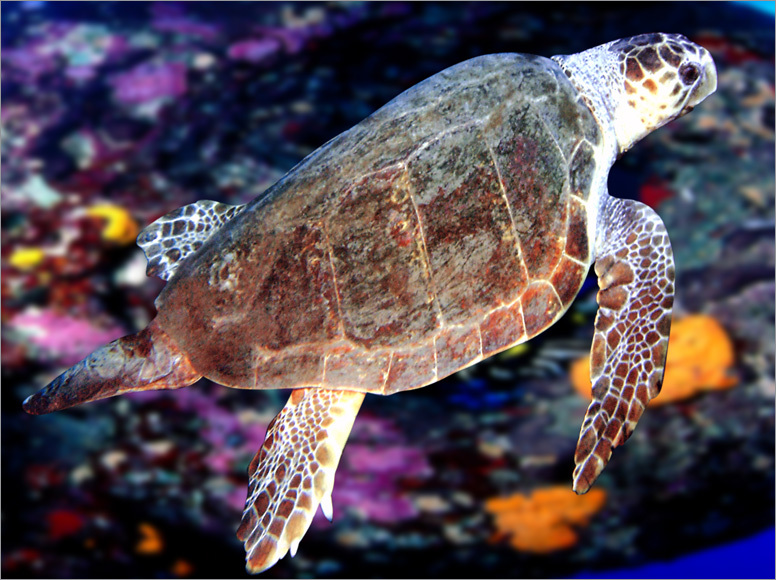 It is thought that some of the Mediterranean Sea turtles live and spend their winter only in this sea. 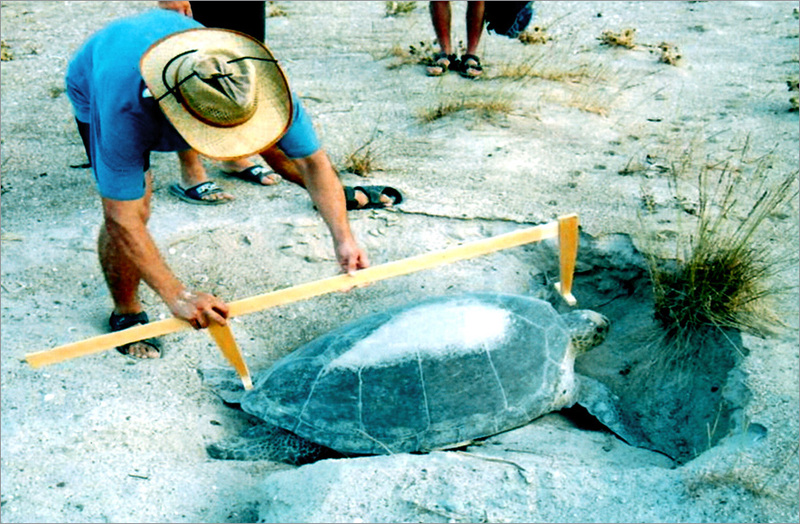 The migrations of sea turtles can be tracked by “marking” the animals. 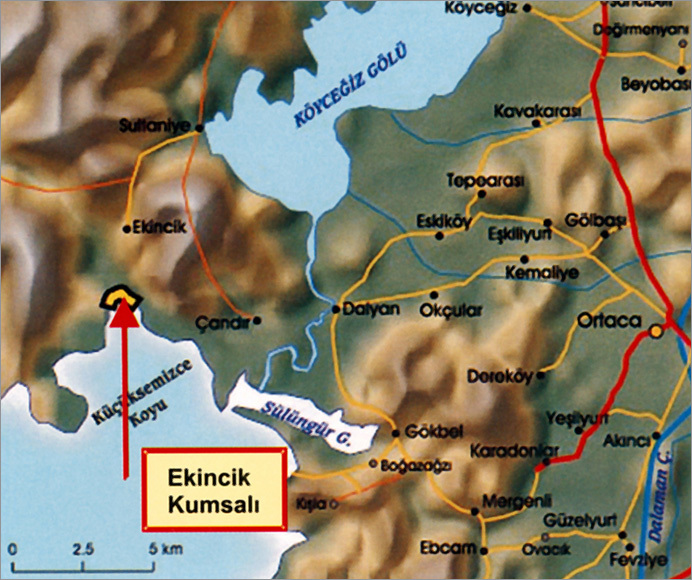 Ekincik Beach is located in Mugla City’s, in Koycegiz County, 26 km away from Koycegiz. The approximate length of the beach is 950 meters and this beach is preferred by the vacationers in summer months. The sand structure is not suitable for mother turtles to lay eggs in this beach. However, the instinct of the mother turtles attracts them to this beach for egg laying. 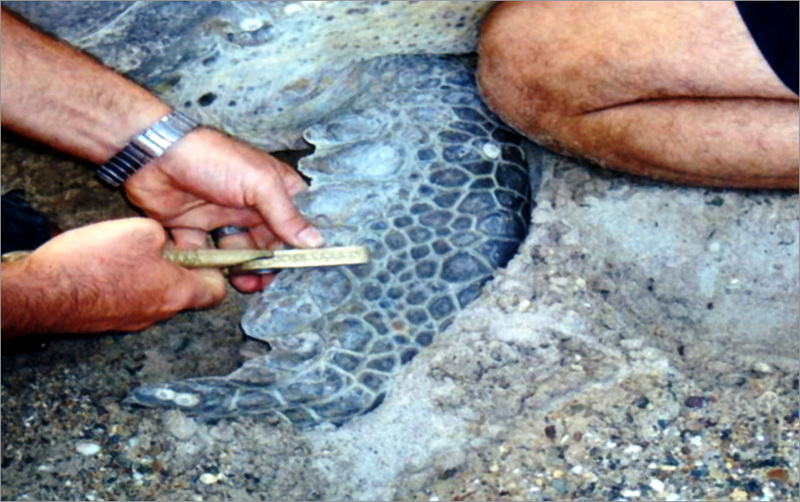 12 nests were found in the year 2004. 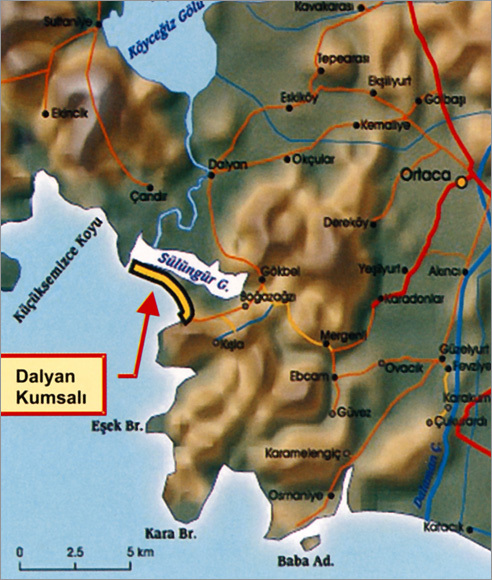 Dalyan Beach is located in Mugla City’s, in Koycegiz County, at the border of the Mediterranean and Aegean Seas and the beach is 4.7 kilometers long. 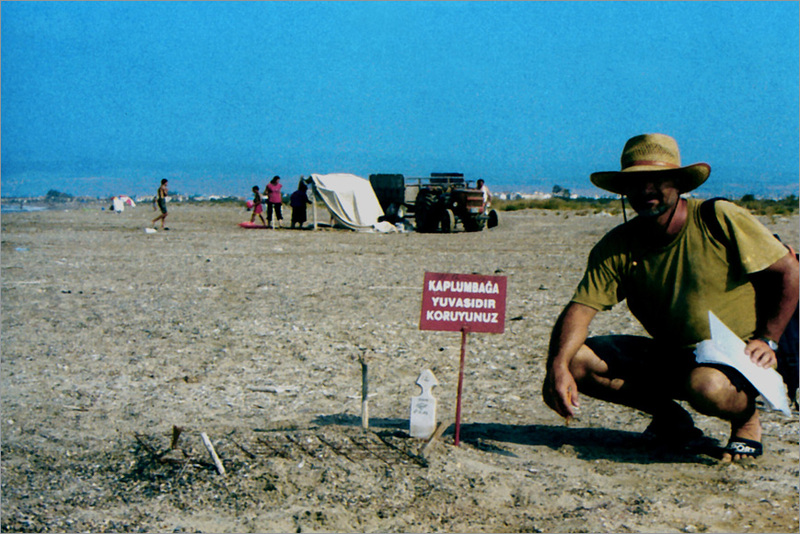 The sand of the beach is fine and there is a lagoon with bitter water on the land side of the beach that is connected to Koycegiz Lake. On the East side of the beach there is Iztuzu Lake. Soft-shelled Nile turtles are laying eggs, in the beach on the side of the lagoon. In 2004, 29 nests have been found. 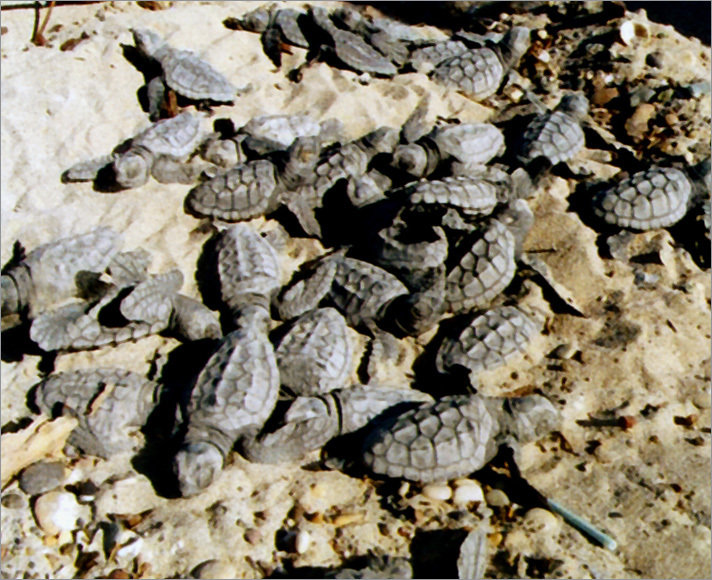 The beach is a very well protected area and in 2004, 223 nests built by the turtles were spotted. Patara Beach is located in Antalya’s Kas County and is 10 kilometers long. During the summer months, this beach attracts many tourists. The beach is affected by the sea’s ebb and flows. The West side of the beach is not as suitable for the egg-laying of the sea turtles as its East side. The inclination of the beach determines this. In 2004, 72 nests have been found in this beach. Belek Beach is located in Antalya’s Belek District and its total length is 29,5 kilometers. The region between Acisu River and Sarisu is under protection. 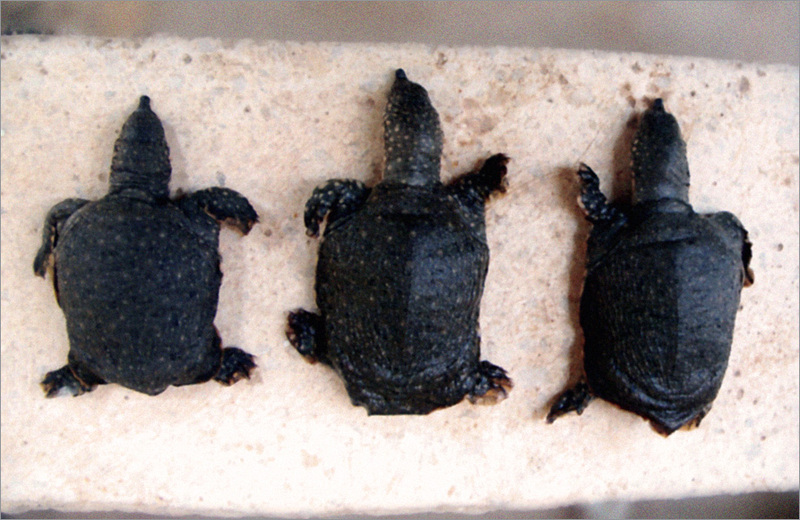 Acisu premises were identified as habitat and reproduction area of Nile turtles. 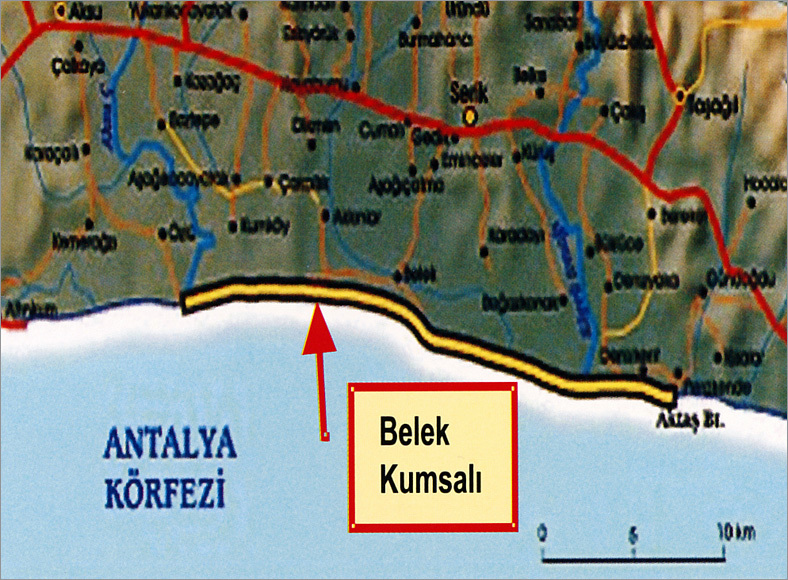 The West of the Belek Beach is dedicated for tourism. Sea turtles very rarely build their nests here, due to multitude of humans here. 409 nests were spotted in the protected area of this beach, in 2004. 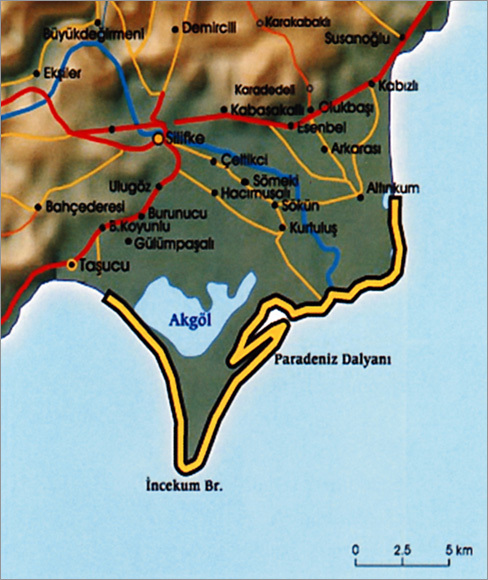 Goksu delta is in Mersin’s Silifke County. Sea turtles reproduce actively in the 35 km region of the East of this beach. This delta is one of the most important watery areas of Europe and many birds that are almost extinct live here or visit this delta during their migrations. In 2004, 137 sea turtle nest were spotted.